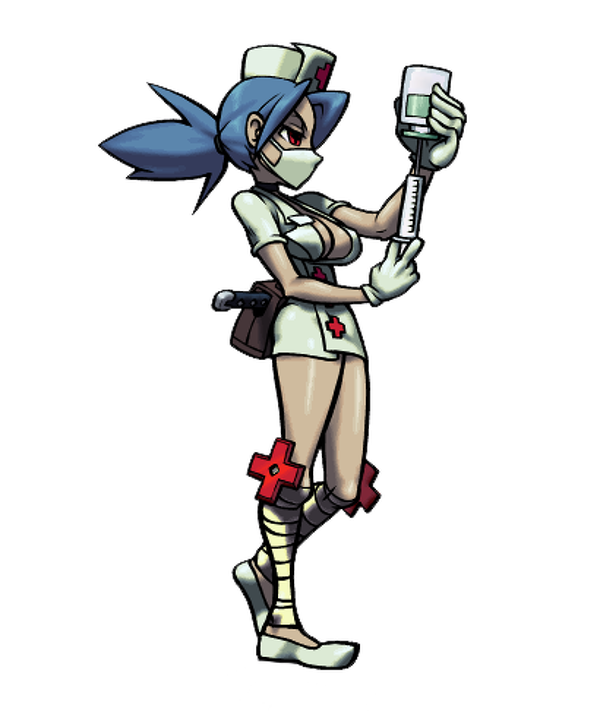 Valentine is the only survivor of the Last Hope, a group of special Anti-Skullgirl Lab operatives. Before meeting their end at the hands of the Skullgirl, the Last Hope worked for the mysterious Lab Zero and performed duties ranging from reconnaissance and sabotage to advanced research. 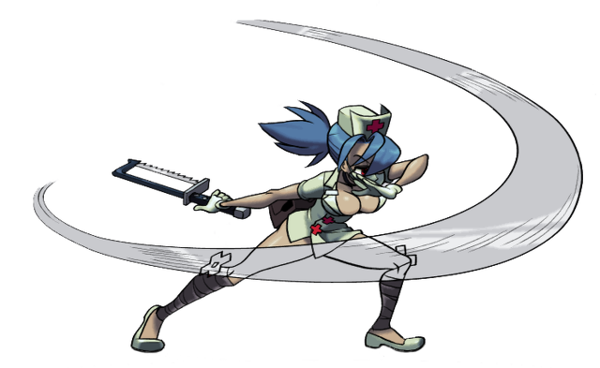 Now Valentine dutifully serves the Skullgirl, carrying out her will from the shadows. She keeps to herself, so much of her true nature and personality are unknown. 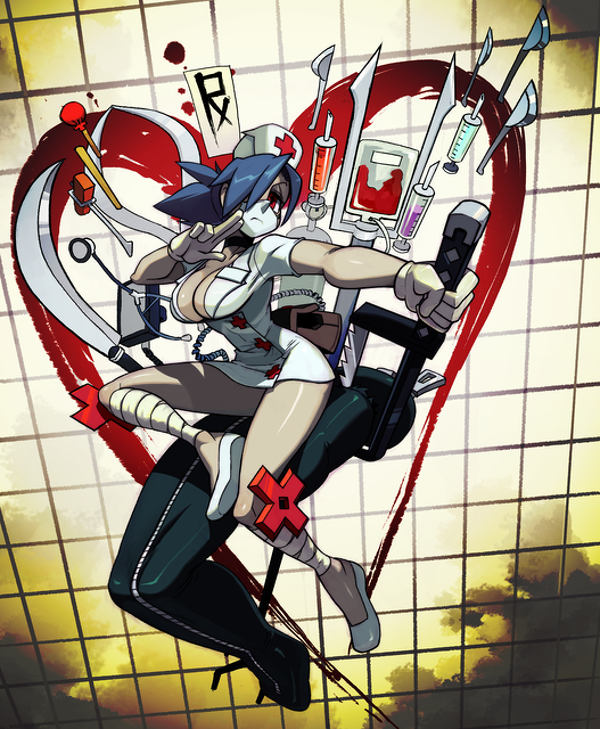 Valentine appears to be a sort of ninja/nurse hybrid... pretty unique from the start. Her super moves and overall moveset are also pretty clever. 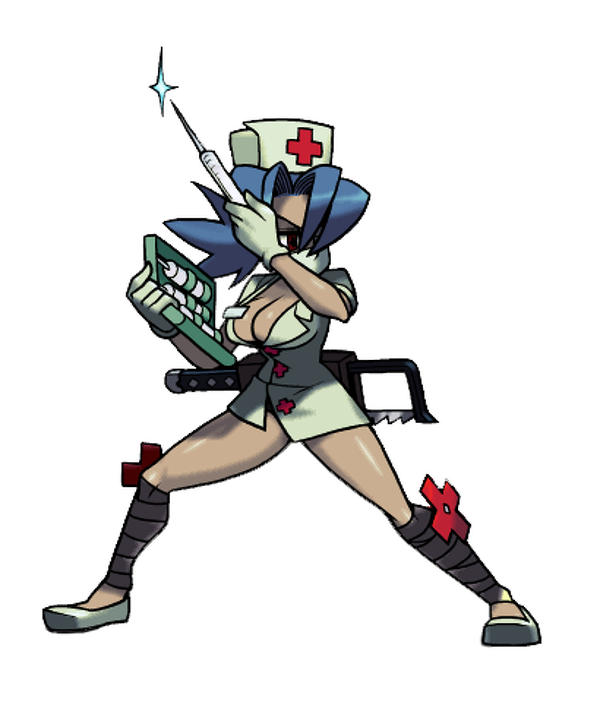 Out of all the wacky Skullgirls designs, she's probably one of the coolest and most eye-catching.